Like any home remodeling project, bathroom renovation could also get nerve wrecking and exhilarating for any homeowner. 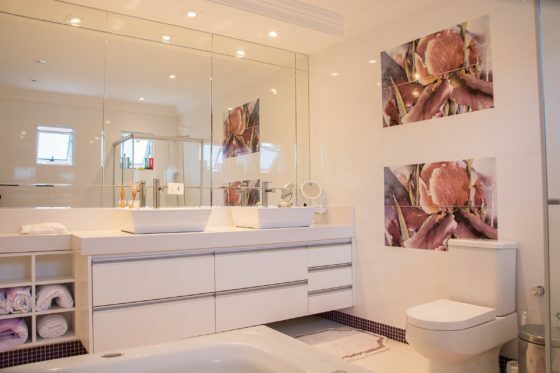 Our Bathroom renovations Mississauga team has completed several projects. In every project, we have always tried our best to complete the project as per the expectations of our client. Today bathrooms have become more than a necessity. For several homeowners, it’s a status symbol and part of their lifestyles. By customizing them according to your taste you can reflect personal touch to your home. We can transform it to have the spa feel in your own home. There are different ways to transform and remodel them. 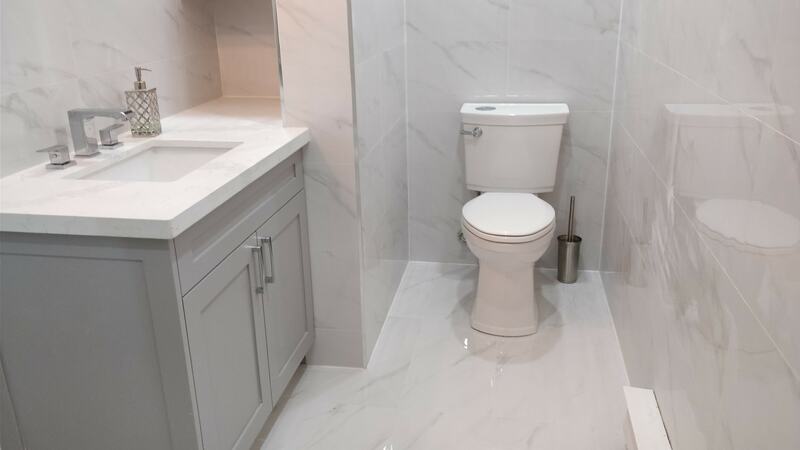 Bathroom renovations Mississauga is an exciting way to transform what used to be one of your necessities into a remarkable retreat. You can transform the space where you will want to relax and revitalize. Our team has got the experience and expertise to work on any given project. We know what will be the best for the remodeling process according to our client’s lifestyle. When homes were constructed years ago the bathroom was designed more for function than comfort. Today, bathrooms are luxurious places to relax. You can take a long shower and soak in a Jacuzzi tub in your own home. Our Bathroom renovations Mississauga will increase the beauty of your home. A renovated and well-maintained home will always improve its value. Whether you want to improve the look of it or totally want to change the structure, our contractors are the right choice for you. When you are planning to renovate the bathroom you can begin your project by gathering ideas. There are different types of magazines and online resources. Most important of all your personal needs like a big vanity or better storage options will be the perfect design idea. According to your needs and wants, we will work closely with the client’s plan. We can customize your bathroom renovation whether you want a contemporary or modern look. Whether you want to convert your existing bathtub into a shower we can do that for you. If you want to add seating or beaches in the shower our team has got the experience and the expertise to cater to your needs. Do make a detailed list of the features and amenities that you want to have. Our team of contractors will work closely with the client to achieve the look they want to have. We can do the transformation that you have been dreaming of. We make sure that our client selects all the materials required in the project. Selecting small features like fixtures and other options such as cabinets will definitely add value. Specific flooring and wall treatments certain types of shower heads and type of lighting as well can enhance the overall look. We make sure to provide you with all the options and choices. In order to transform your bathroom the way, you want our team will provide you with the best choices. Bathroom renovation is just like an investment as it increases the value of your property. If you are planning and ready for the transformation then you are likely to increase the value of your entire home. With our expert advice, we can suggest cosmetic changes like new shower and tub, lighting effects which will improve the look. Contact us today and we will transform your bathroom you have always wanted. MIlitary Made have always tried to keep pace with the current changes and trends going on. We have always tried to deliver according to our client’s expectations. Every project we take over we make sure that we use the best quality materials. Our team will update the client with the remodeling stages. We deliver excellent workmanship, superior quality materials and outstanding customer service in every project. Our superior quality and good customer service have kept our reputation among the leading renovation and remodeling companies. Call us today, and we will be happy to transform into space where you can relax and revitalize yourself. You can feel the luxury of a spa every single time you bath or shower and in your own house. Military Made is Professional, most trusted and largest source for reputable for bathroom renovations Mississauga.